Aside from housing, food is one the most expensive things in the budget for most households. This means a big portion of your paycheck is spent at the grocery store! I used to cringe every time I saw my receipt at the checkout line, which is why I decided to take action! For a family of 4, I was spending anywhere from $600 – $800 a month on groceries alone. Using the tips below, I typically save anywhere from $300 – $400 a month! You can do this too, all it takes is a little planning. 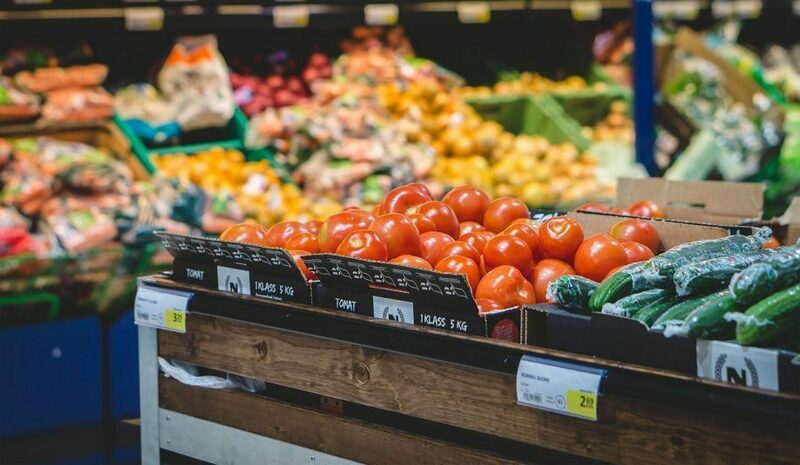 Check out these grocery shopping hacks I’ve put together below to help you get started. Most grocery stores have a weekly ad that details all of their sales and promotions. You can usually get this at the front of the store, or on the store’s website. In the weekly ad, you can find all of the current “buy one, get one”, price cuts, and other deals. The ad might also include a few store coupons. I recommend reviewing the weekly ad for at least 2 of your favorite super market and comparing deals. This way you can find out the best place to go to save the most money! Take some time and review all of the deals in advance. This way you can focus on buying items that are sale for that week. Typically stores send out their own coupons, and then manufactures also send out separate coupons. A lot of times, they send out coupons for the same products. The coupon should have either store or manufacturer’s coupon printed on it. Most supermarkets will allow you to combine manufacturer coupons with their store coupons. This is great because you end up getting twice the savings. I’ve even been able to get items for free using this method, so it’s worth taking the extra time to go through your coupons! Ok, so I know this may be a challenge for some but stay with me here! Meat is typically the most expensive thing on anyone’s grocery list, and it’s usually viewed as the main course of any meal. There are tons of great meals options that don’t contain meat. At my house we have a no meat day at least twice a week since my youngest daughter is a vegetarian (On days we eat meat, I’m still forced to make a no meat option for her). As a family of 4, this saves us at least $20-$40 a week! However, for those of you can’t fathom the thought of less meat at the dinner table; number 4 on this list is just for you! My crockpot is literally my favorite kitchen product! Typically, a crockpot is used to cook tougher cuts of meat at a low temperature over a longer period of time. Tougher cuts of meat also tend to be a lot cheaper than more premium cuts, which is where you’ll save money here. In this case, cheap doesn’t mean you lose out on flavor. Usually, after cooking meats in the crockpot, the end result is tender meat falling off of the bone! Before your next trip to the grocery store, take some time to plan out your meals for the next week or two! Build your grocery list based strictly on what you will need to make those particular meals. This way, you will avoid impulse shopping and buying a lot of unnecessary items and spend excess money. Rice and potatoes are not only extremely cheap, but they are also extremely diverse when it comes to cooking! You can pretty much incorporate them into any recipe. Some of my favorite recipes include rice or potatoes as the potatoes as the star of the dish (chickpea curry anyone?). Aside from being inexpensive, these items are also filling so they are great for family meals! I can’t tell you how many times I’ve bought fresh fruits and vegetables, only for them to go bad a week later. I end up having to throw them them away, which is essentially money down the drain (or in the trash for that matter!). Opt for frozen produce instead! Frozen produce last much longer, and therefore you’ll have plenty of time to use it prior to it going bad. Chances are your local supermarket has an phone app, rewards program, or both! They usually provide exclusive savings opportunities to customers through both of these platforms. Take advantage by signing up, and start saving cash just by being a loyal customer! Look, I completely understand that you just gotta have your favorite brand of Vanilla Wafers for that banana pudding recipe. I’m the same way! But there are several store brands out there that are just as good as the name brands….and alot of times they are MUCH cheaper! Why pay more for a name brand, when you can get the same item at a lower price without sacrificing quality. Try out a few store brands on your next grocery store trip, and save a few extra bucks! Ok so my last tip is really something I struggled with! I noticed when I more likely to buy food items I didn’t need, if I was already hungry. I could have everything planned out, however I couldn’t resist buying a few extra bags of chips and dip! When you are already hungry, everything in the grocery store looks good, so do yourself a favor and eat first. That way, you’ll be able to shop without impulse. I hope that this was helpful! I truly believe that if you try a few things on this list, you will find yourself spending less money at the grocery store. We currently do a little bit of each of these to maximize our savings. The results are so worth it! What are some tips that you have to save money on groceries? Let me know in the comment section, or shoot me an email! Happy Savings!